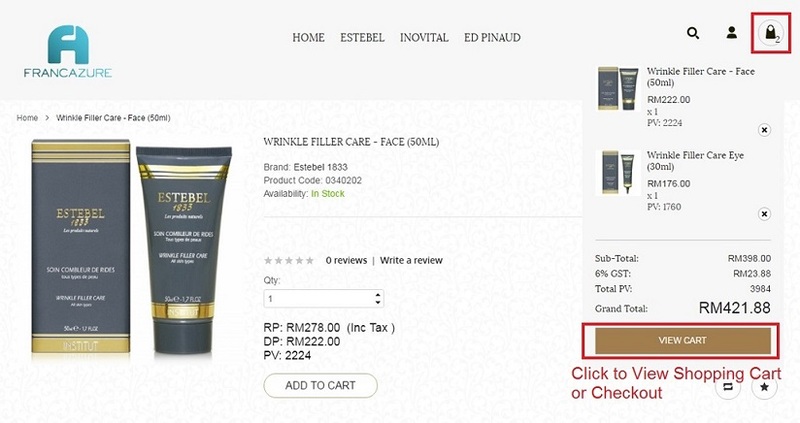 Click the Login icon and enter your distributor code and password. 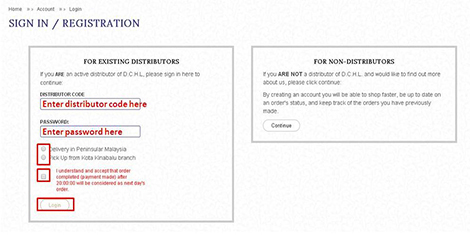 If you are not a distributor, click ‘Continue’ in the box which labelled ‘For Non-Distributor’. 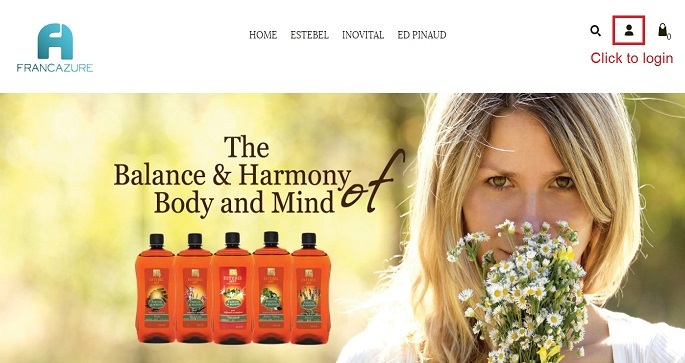 Browse our products by using the top menu or the search button. 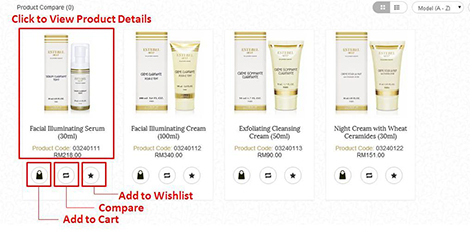 Add items you like to your shopping cart as you go along by clicking 'Add to Cart'. 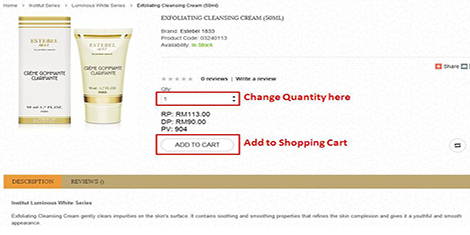 After you’ve done shopping, click the ‘Shopping Cart’ or ‘View Cart’ icon. 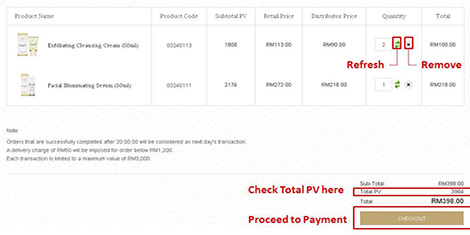 Review your order and click 'Checkout' button to proceed to payment. 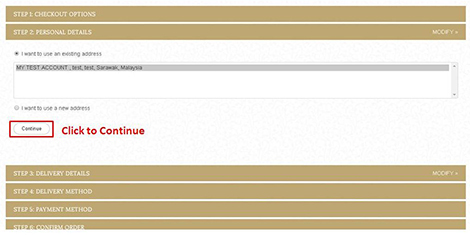 Fill in all required information and click 'Continue'. 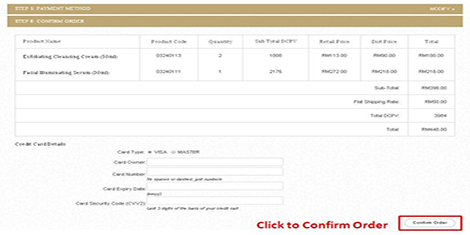 Ensure that all order information is correct and click 'Confirm Order'. You will receive a notification email once we have received your order.